Cut to another officer in astronaut’s kit. Summary: The game can be downloaded here. The main project page is here. A couple of years ago this blog had a hiatus for a few months. 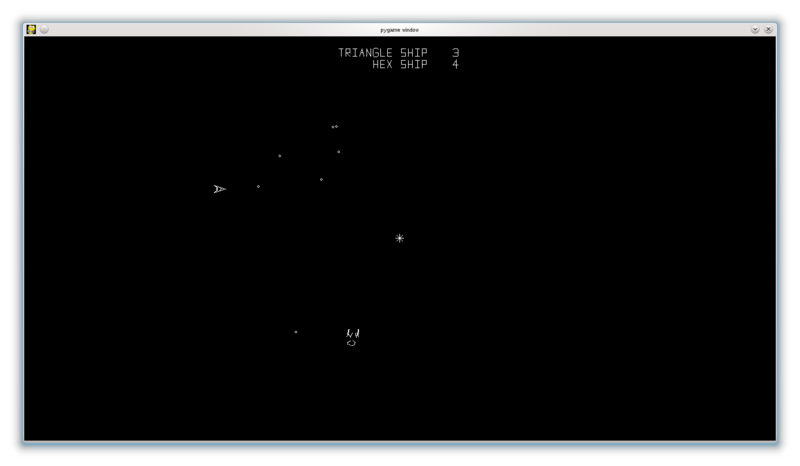 In that time, I wrote a short lunar lander game using 2d vector graphics (see this screen shot for an example of what vector graphics used to look like). Well, it never got finished, but it did serve as the inspiration of a space fighting game which I did finish – well, except for a title screen. Over the following 18 months I put off adding a title screen (and some other stuff, but mostly a title screen) before finally releasing it in late January this year (2013). 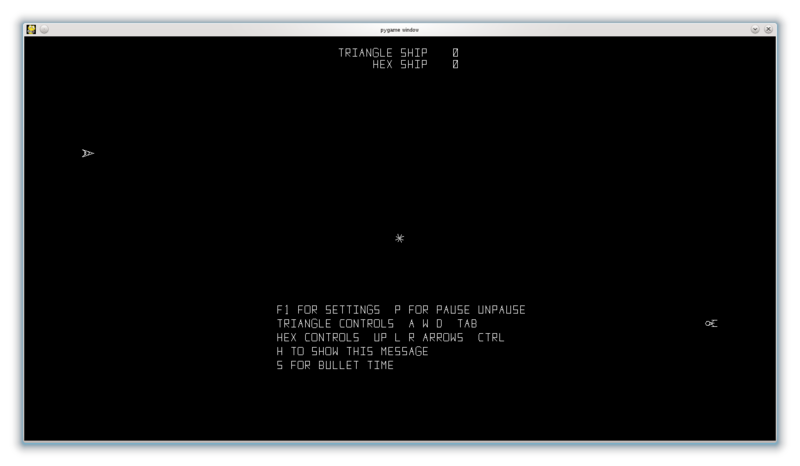 The game is inspired by (but is not a clone of) an old arcade game called space wars. Each of the ships flys around a central sun, which draws them in with its gravity. Gravity also affects the bullets, which makes the game very unpredictable. Game play shot – see the wreckage? Each ship is made of a number of little lines. When the ship is hit, the lines blow apart. When I play the game with my son, we usually end up in hysterics. The game can be downloaded here. The main project page is here. My source code is licensed under GPL v 3 and is included in the tarball, so stick your head in and have a look at how the code is structured. While the game is too complex for a direct explanation in this blog, I hope to make a few comments about games and programming in general in future tutorials, using it as an example. In the meantime, have fun!